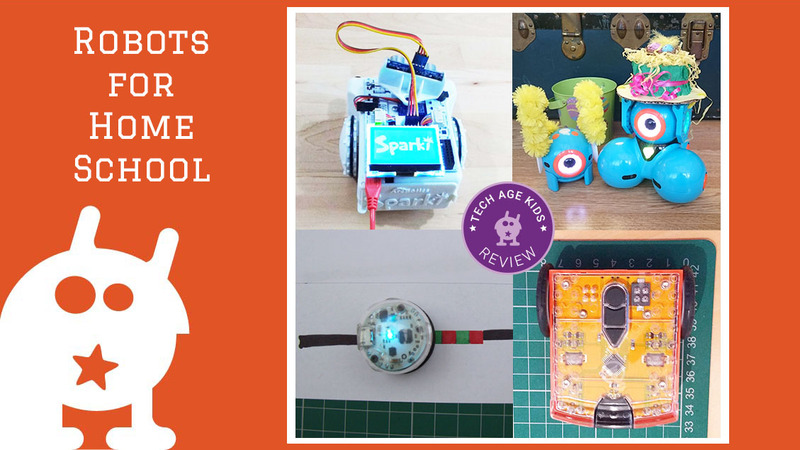 Which Programmable Robot for Homeschoolers and Learning at Home? Let's take a look at the best programmable robot options for homeschoolers and families that want to learn at home. 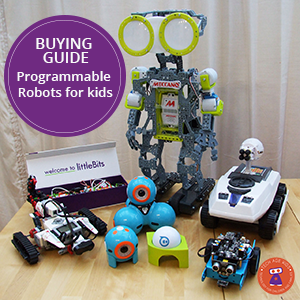 There are now loads of programmable robots for children and beginners which is fantastic, but a little overwhelming for those trying to choose the right option for their kids and family. In this post we'll focus on programmable robots where there's no building or minimal building involved. (We'll look at buildable robots and robotics kits separately.) Building robots is awesome, but sometimes you want the focus to be on the coding and working with the robot. We'll look at each robot in more detail below, but first let's meet the robots that we recommend for homeschooling and deep learning at home. As well as teaching kids about robotics and coding, robots are fantastic for including in cross-curricula activities. Lots of robots can play music, explore a map or help explore physics and maths concepts. We're also narrowing the field down to the robots that offer an educational curriculum or at least support materials that teach kids about coding and robotics. We know this is important to many homeschooling families and also to families with children who are interested in robotics at a level beyond what they are taught in school. We've chosen robots that will appeal to girls and boys. We've also favoured robots that can be used with multiple age groups and abilities so that mixed age siblings can learn about programming robots at the same time, or take turns with the same robots. We've included some robots that can be used outdoors. Homeschoolers and weekend educators often have more flexibility about where and when they work with their robots and outdoor robots are great for taking advantage of that freedom. 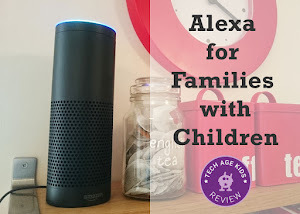 Dash & Dot are a fantastic pair of robots for young children that are best used together. These robots are packed with personality and support guided play through the Wonder app and guided activities as well as free play and a starting point for science and creative projects. There's also a Dash & Dot Playbook for Swift Playgrounds which teaches kids to program these cute robots using the latest programming environment from Apple on the iPad. Wonder Workshop run regular competitions for Dash & Dot owners which offer additional challenges for families or groups of homeschoolers. Edison is a small orange robot that is compatible with LEGO. Edison is inexpensive so it's a great choice on a low-budget or for homeschool club with a group of children working together with one robot each. What makes Edison really suitable for home education is the included activity materials. The Edison activities have a really nice progression from working with the robot in offline mode, through to programming it with a graphical editor and then moving on to adding LEGO to create more complex robots controlled by Edison. In addition to the graphical coding there's also support for text-based Python. This means that Edison offers plenty of progression and can be used to support family members at different stages. Once children have worked through the structured learning at each stage there's plenty of scope to apply that learning in projects that interest them. OzoBot is a tiny robot that can follow lines and read coloured codes, it can also be programmed using a block-based language. OzoBot is very practical if you don't have a lot of space. We've found that OzoBot is brilliant for cross-curricula projects, you can add costumes to OzoBot and create awesome mazes for the robot to explore. 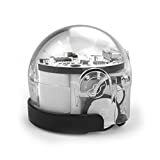 There's not a full curriculum available for OzoBot but there are some materials to get started and there's a growing library of OzoBot lessons submitted by educators. Look out for the new OzoBot Evo which adds sound and social interaction features. Sparki from: ArcBotics is a complete robot packed with sensors and outputs including a screen for display and a gripper which can move things around. Sparki has a full robotics curriculum with activities suitable for different age groups and starting points. Sparki uses high quality components including accurate geared stepper motors for precise movement. One of the things we really like about the Sparki materials is that they explain what the components are and how they work. Fancy something a bit different? How about programming a flying quadcopter? Parrot make a large range of drones including mini drones suitables for age 8+. They have recently set up Parrot Education to support and encourage use of their drones in education. The Parrot Airborne Cargo and Parrot Jumping Race miniDrones can be programmed. We've got an older Parrot mini rolling spider which we've programmed a using both Tynker and Tickle graphical drag and drop apps. Lots of fun! Tynker offer a paid course to teach kids to program a drone. Parrot Education also have a growing range of educational activities for use with their drones. Sphero is a ball-shaped robot and comes in entertainment and education flavours. 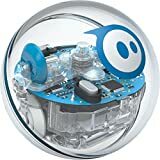 Sphero SPRK+ is designed for education and can be used at home, it has a transparent shell so you can see the electronics inside. The Sphero SPRK Lightning Lab app teaches coding and STEAM skills through guided activities. The Lightning Lab gives lots of material for families to work through and also allows free programming. Sphero SPRK can be used indoors and outdoors so it's a great option for taking learning outside. It also works with some of the entertainment apps for Sphero so it can do double duty as a tech toy. 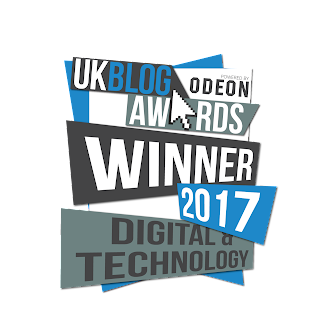 We're really pleased that the SPRK Lightning Lab is available for the affordable Amazon Fire tablet as well as iOS and Android. Not all robots come with good reusable storage for their accessories. Good plastic storage boxes with room to store robots plus their accessories and worksheets are really helpful. Think about charging or batteries ahead of time. Have a routine for keeping robots that you use regularly charged or having spare batteries to hand for those that take batteries. It's a pain if kids are all fired up but your robot won't go! Robots can be used across the curriculum to add a bit of extra engagement. There are lots of toy robots that provide a taste of coding in a fun format but don't offer a deep educational curriculum. 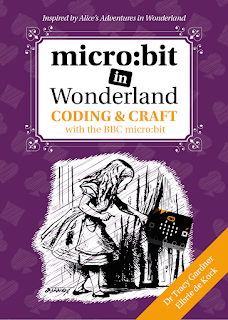 They can be great for encouraging kids who are more reluctant to dive into technical topics. And you still have a great tech toy. There are also lots of awesome robots that have amazing potential in a family that has experience with robotics. We recommend that you master the basics first with a robot that offers a curriculum and then move on. Unless of course one of the adults in the family is a robotics expert in which case, go for it!